ABC will premiere its new paranormal series Glitch on Thursday 9th July at 8.30pm then all six episodes available immediately afterwards on iview. It centres around six seemingly-unconnected people who have inexplicably returned from the dead, alive and in good health. With no memory of their identities, disbelief quickly gives way to a determination to discover who they are and what has happened to them. 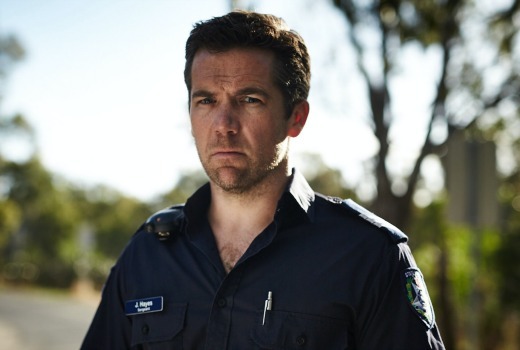 But the mystery soon becomes deeply personal to Sergeant James Hayes (Patrick Brammall) when he recognises one of the group: it’s the love of his life, his recently deceased wife Kate (Emma Booth). Made by Matchbox Pictures (The Slap, Old School, The Devil’s Playground) it also stars Emma Booth, Rodger Corser, Genevieve O’Reilly, Sean Keenan, Ned Dennehy, Daniela Farinacci and Andrew McFarlane. Thursday 9th July at 8.30pm. Hope this works, the promo looks interesting. It will be interesting to see how the Thursday night screenings rate after the main audience for this series consumes it on iView. Have the ABC lost confidence in this already? Wow, an Australian TV show starring Patrick Brammall! That guy must have the world’s best manager. Yep, hearing America is showing a lot of interest in him too.